Jackie and Jon were married November 4, 2017 at Mallozzi’s in Schenectady, NY. 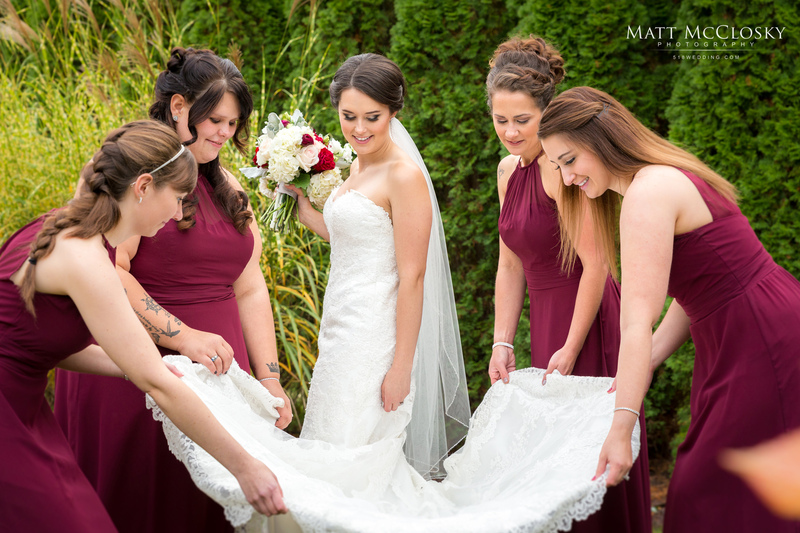 The bride, groom and guests took over the Belvedere Inn where we were able to capture the wedding party preparations. A short walk across the car park and they were ready for the ceremony. The beautiful bride was upstaged for only a brief moment by their witty pastor who had the guests attention while he shared heartfelt stories of the couple. Mallozzi’s is an amazing host, Katie Burns Artistry absolutely nailed the makeup and Intra-State Entertainment filled the ballroom with amazing tunes that energized the dance floor the entire evening. All of this capped off with a gorgeous sparkler exit.